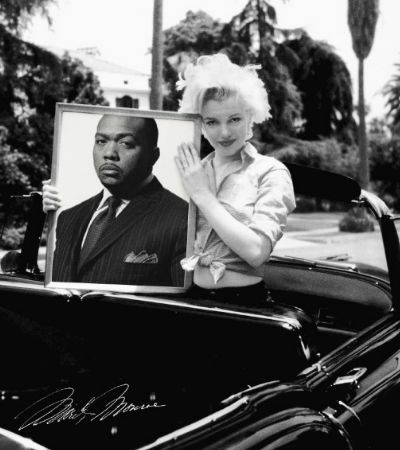 Timbaland is sampling the unreleased Marilyn Monroe track “Down Boy” after meeting with photographer and TV executive Jack Allen, who owns the rights to the song. The 43-year-old record producer is sampling the late “Gentlemen Prefer Blondes” actress’ only unreleased track, a swing number titled ‘Down Boy’ 53 years after she died of an overdose, reported Contactmusic. he song – which has never been heard before – was originally recorded for the 1953 movie but while her rendition of “Diamonds Are A Girl’s Best Friend’ became a hit, “Down Boy” was cut from the final edit. Timbaland – who produced Michael Jackson’s second posthumous album ‘Xscape’ in 2014 – is now working on a modern version of the track after meeting up with the owner to the rights, Hollywood resident Jack Allen. Jack was just four when Marilyn died in 1962 but he became fascinated with classic Hollywood star as a photographer and TV executive in Los Angeles.